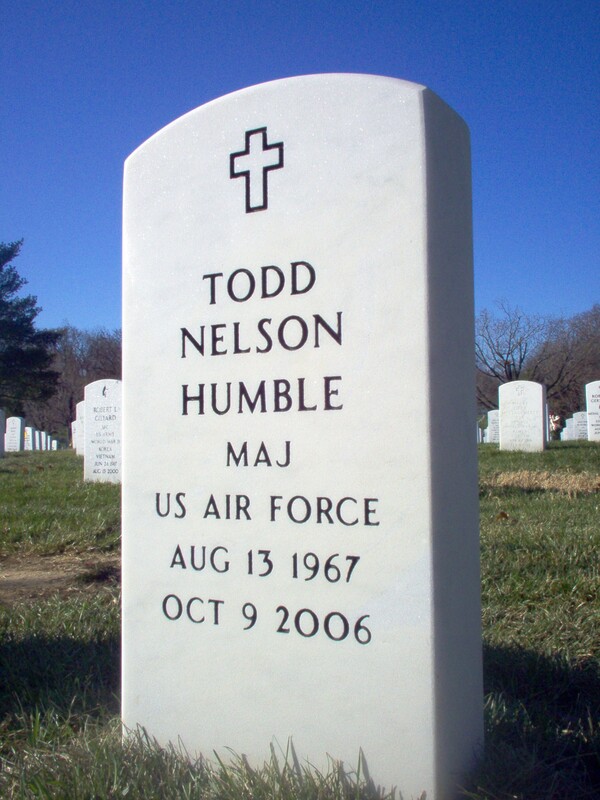 Air Force Major Todd N. Humble, 39, of Spokane, Washington, and formerly of Grove City, Pennsylvania, and Edgewater, died of a heart attack October 9, 2006 in Charleston, South Carolina. of Grove City High School in 1985. He received a bachelor's degree in civil engineering from Pennsylvania State University in 1990 and a master's degree in computer resource management from Webster University in 1999.
at Laughlin Air Force Base, Texas, and was subsequently assigned to Charleston Air Force Base, South Carolina, as a C-141 transport pilot. Two years later he was selected as an initial cadre pilot for the new C-17 transport aircraft and quickly upgraded to airdrop and instructor pilot. he continued to serve his country as a member of the 701st Airlift Squadron at Charleston AFB. As a C-17 instructor aircraft commander, he had accumulated more than 4,500 total flying hours, logging more than 370 combat hours in support of operations in Bosnia, Afghanistan and Iraq. 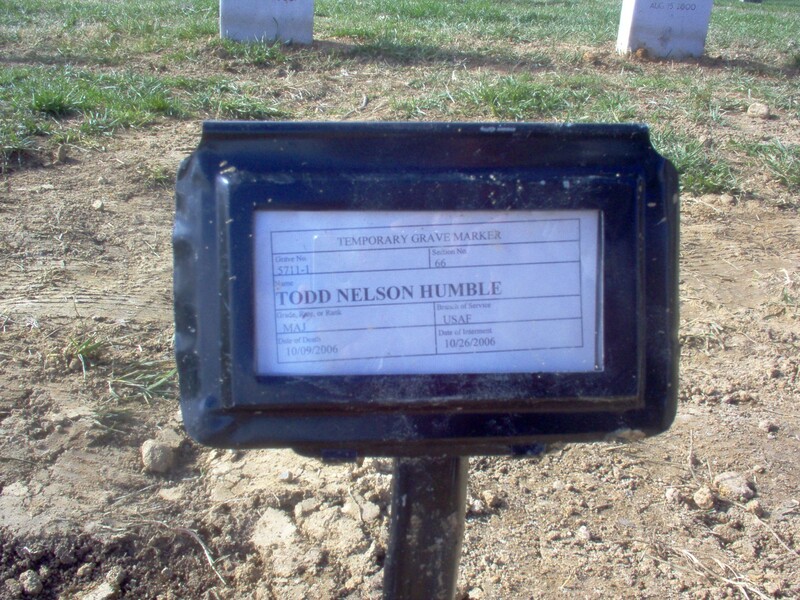 He was also an MD-88 pilot with Delta Airlines. He lived in Edgewater while stationed at Andrew and Bolling Air Force bases. In addition to his parents, surviving are his wife, Air Force Major Gina Candella Humble, whom he married August 8, 1992, and stationed at Fairchild Air Force Base, Washington; two children, Jacob Humble, 8, and Rachel Humble, 3, both of the home; and a sister, Jill Schwartz of Medford, New Jersey. Burial with full military honors will be at 1 p.m. Thursday in Arlington National Cemetery. Friends and family should gather at the Administration Building by 12:30 p.m. Arrangements are by Cunningham Funeral Home in Grove City. In lieu of flowers, memorial contributions may be made to the American Heart Association at 59 N. Crescent Drive, Hermitage, Pennsylvania 16148.